Multiple Window Launch Options - chat button, link to chat, embedded icon, proactive pop ups. Perfect for emails & tweets. 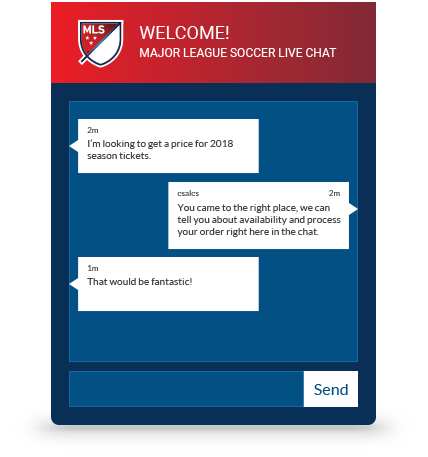 Marketing Opt-In - require additional information before chatting. 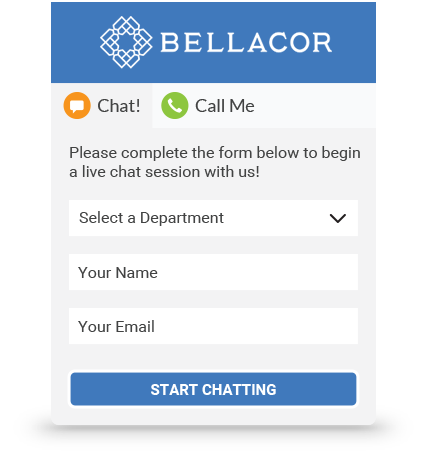 Integrate Variables & Contextual Data into the Chat - can automatically pass the email/username/phone variables into. Add a welcoming face to your engagement efforts. Use shortlinks for easy social media or website engagements. 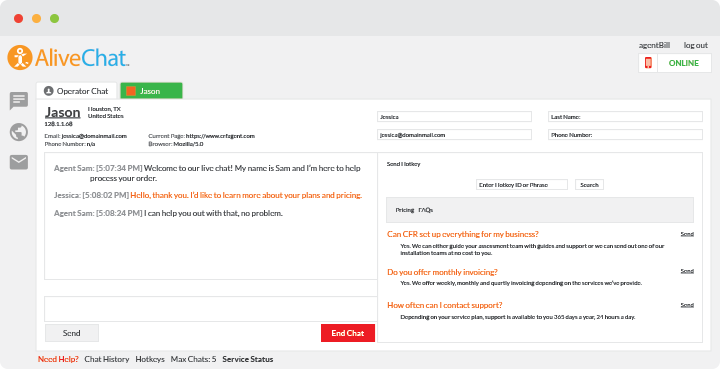 Customize call-to-action to suit your website's look and feel. Communicate in your customer's language. Multiple Triggers can be created for any web properties. 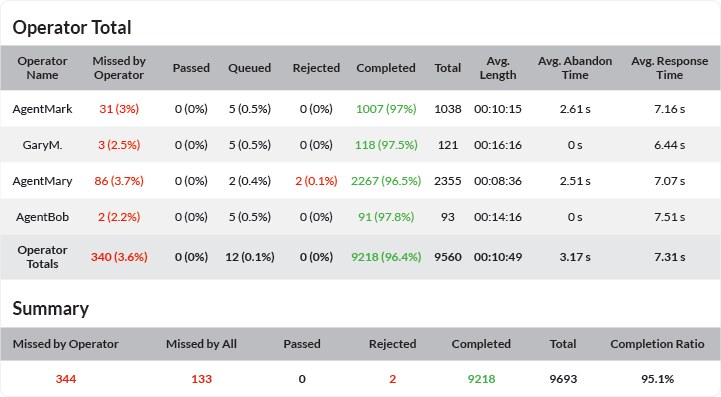 A/B test to see which campaigns are most effective. Create Pop-Ups that appear automatically based on rules. 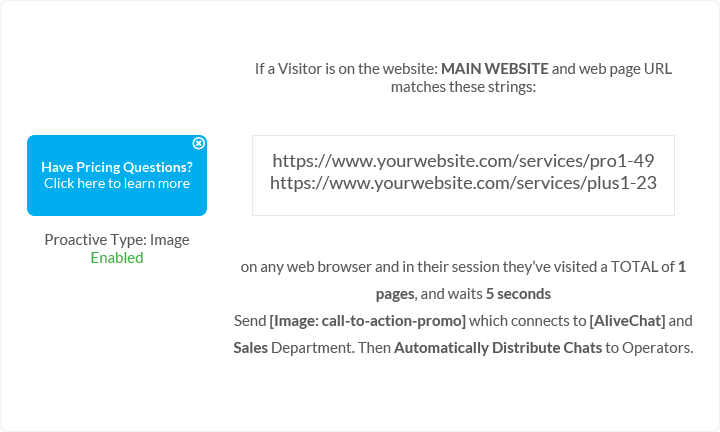 Triggers include URL match, pages visited, time delay. Send to specific Departments and use specific routing rules. 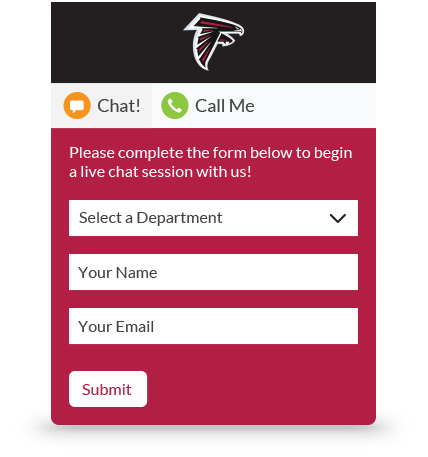 Simple, Intuitive Interface Reduces Training Time. Cloud/Browser-Based Login with optional Windows and Mac Desktop Download. Visual Notifications on Desktop & Sound Alerts for Incoming Requests. Minimal requirements and training for Agents make it easy to deploy live help. 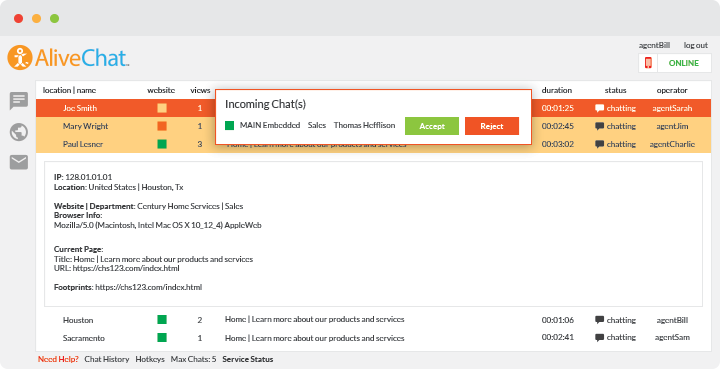 Agents can easily access knowledgebase during chats or answering emails. Programmable Phrases used by Agents During Chat. Send Text, Images, and Web Links. Quickly Respond to Customers With Minimal Typing. Fast Search to Find Desired Answers. 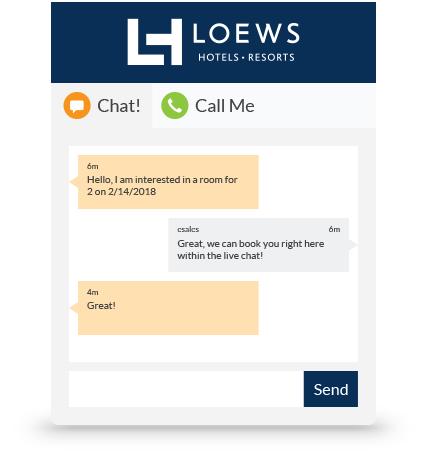 An integrated “Offline Messages” system allows chatting/idle or non-chatting Agents to respond to customers. Messages Saved in “Inbox” mode when no Agents available to chat. 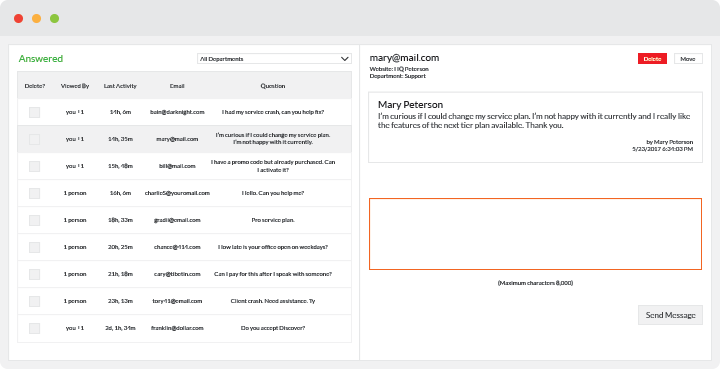 Agents send replies which reach Visitors’ emails. Visitors view and respond to replies right back into Agent Console. Reports can be run by data range and downloadable into .CSV files. APIs also available for your developers to build custom reports. Chat Transcripts - View each chat conversation. Performance - Statistics for chats taken over a period. Log in Summary - Sum of all hours logged in for a specific Agent.